In their debut program, switched takes on J.S. Bach’s monstrous Partita No. I for solo violin. The program alternates between the four main dances – interpreted as violin features with subtle processing (think long-tail reverbs and quiet synth pedals) – and the doubles – played with hard-hitting beats and intense effects (think massive distortion and hard-panned stereo delay). 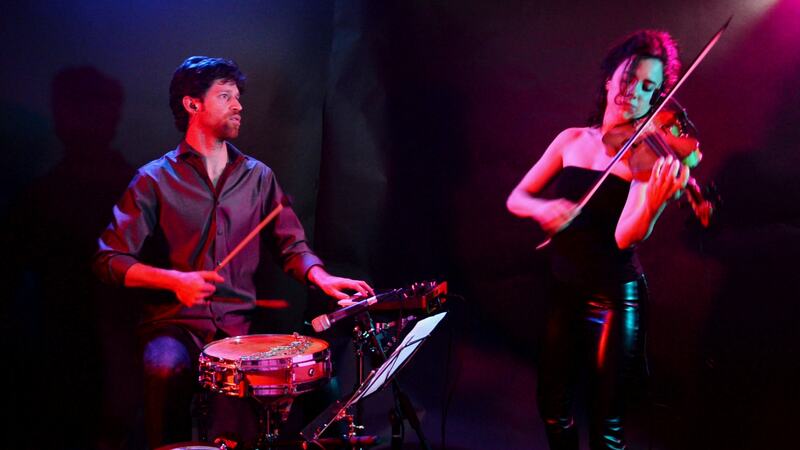 switched is a new project by two musicians from seemingly opposite fields: baroque violinist Lucia Giraudo and composer/drummer Brendan Faegre. In it, they channel baroque dance music through a contemporary prism. Lucia takes a dedicated, historically informed approach to the violin part. Brendan adds drums, making the meter of the dances explicit. And through processing and a monosynth, they bring baroque dance into the soundworld of electronic music.